We created a unique blanket to help students and parent easily and quickly make their beds in the morning. We all know that making your bed is a chore that no kid likes, and parents are always nagging us about. Our invention will help kids be more responsible while saving students and parents valuable time. We tried out our invention and found it allowed those precious 5 extra minutes of sleep. 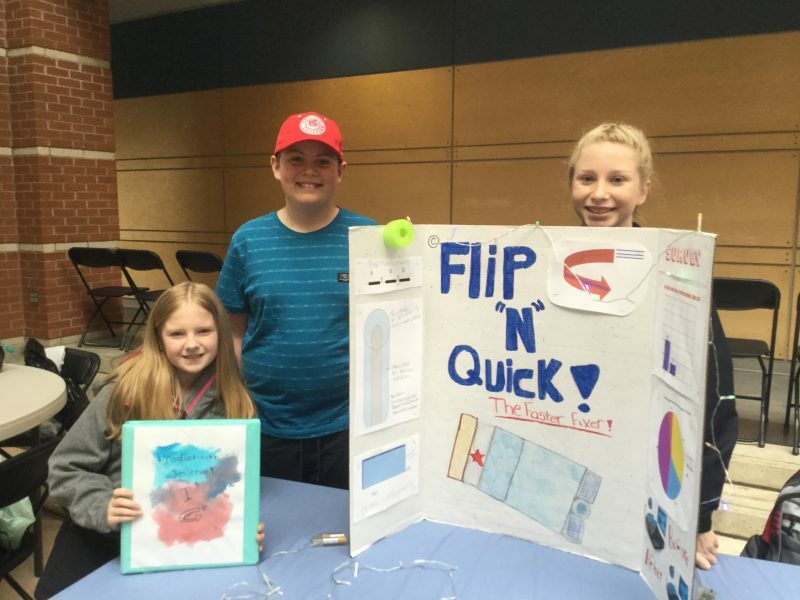 We surveyed our classmates in grades 2 – 8 and used their feedback to take our invention to the next level. We found that outside opinions made our invention better!! We used eco-safe materials such as metal and rope to create our invention. Our invention is great because it is easily compactable for travel and easily removable for the wash and almost effortless to use!! !